PT-613 served the Navies of the United States and South Korea. the Operational Development Force, were the last World War II PT's in service in the Navy. Believed to be a museum craft. 294k Personnel of ROK Navy stand at attention on board PT boat while Korean national anthem is played. 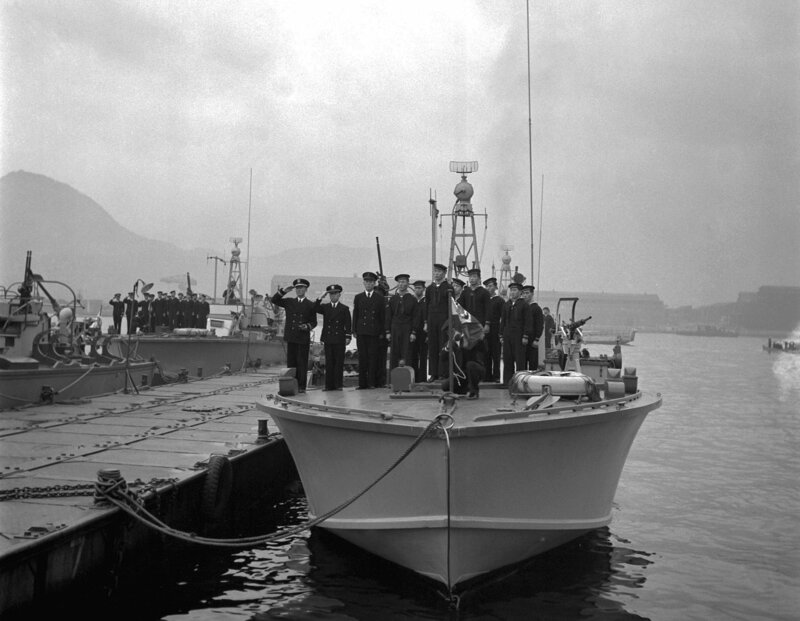 Four patrol torpedo boats were added to ROK Navy when V. Adm. Won IL Sohn, ROKN, accepted the vessels from U.S. Naval authorities in Sasebo, Japan. The transfer was made by R. Adm. George C. Dyer, USN.